Check availability for today, sale only at the box office in order of arrival. Closed 1st and 6th january, 24th, 25th, and 31st december. – Monday and tuesday CLOSED. Tours: 9:40 am, 10:40 am, 11:40 am, 12:40 pm, 13:40 pm and 14:40 pm. Tours at 9:40 am, 10:40 am, 11:40 am, 12:40 pm, 13:40 pm, 15:40 pm and 16:40 pm. Mid season: From 1st march to 14th june and from 16th september to 31st october. Tours at 9:40 am, 10:40 am, 11:40 am, 12:40 pm, 13:40 pm, 15:40 pm, 16:40 pm and 17:40 pm. High season: From 15th june to 15th september. Tours at 10:40 am, 11:40 am, 12:40 pm, 13:40 pm, 15:40 pm, 16:40 pm, 17:40 pm and 18:40 pm. Maximum capacity per session: 8 persons in low season; 7 the rest of the year. Allows the entry of a family, an unlimited number of times, during a year in the network of museums, cultural centers and prehistoric caves of Cantabria. 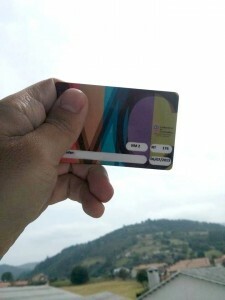 The cost of the card is 70 € per family per year. The year will be calculated from the day of your request. You can buy the card in any of the Museums, Caves or Cultural Centers where it allows to access.